Dunans Castle photographer Chloe Timms of Buck’s Photography. 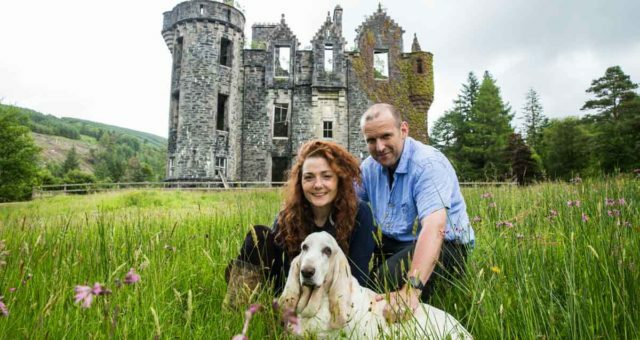 Earlier this year I went to visit Dunans Castle and met with the lovely owners, Sadie and Charles. I also met their rather wonderful rescue dog called Bartie. Sadie took the time to give me a tour around the castle grounds and what a beautiful place it is! The pair have plans to completely restore the castle back to it’s former glory in the future. Right now, they are running things from the castle grounds. There is a gorgeous bothy on site, which would make the perfect romantic break. There is also the option of bell tents, which would make a perfect holiday adventure for the whole family. Being a Dunans Castle photographer could cover anything from wedding photography to a family photoshoot. It’s such versatile space and really does attract people for all sorts of different events. Sadie and Charles are full of ideas on what they want to do with the space and I’m excited to see what happens at Dunans castle in the future. If you are in need of a Dunans Castle photographer, please take a look at my portfolio by clicking here. Please do feel free to call me to discuss your photography requirements and we can go from there. I would be more than happy to answer any questions you have, and would love to be your Dunans Castle photographer. Best of luck with planning your event or stay and I look forward to hopefully meeting you soon.